What's the point of exporting if you don't get paid for your goods? 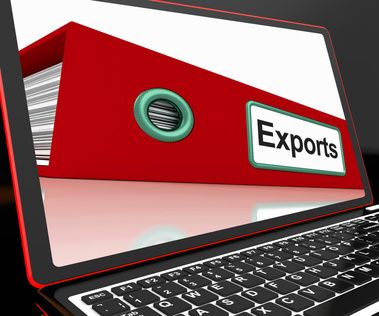 Providing the correct export documents will help ensure you get paid in a timely manner. The export quotation is often the first document you'll need to prepare. Whether the terms of your international sale requires payment to be made by cash in advance, open account, documentary collection/cash against documents, or letter of credit, the quotation process is the same. The quotation should follow a standard format that includes the terms of payment, the international trade term under Incoterms 2010, terms and conditions of the transaction, where ownership will transfer, value of the goods, country of origin, expiration date of the quotation, and other details that are specific to your product or transaction. There is a sample quotation at the Minnesota District Export Council website. The quotation is the offer, and the purchase order is the confirmation of order acceptance. When providing a quote to a customer you'll need to consider the customer’s credit history. You will also need to determine what documents are required for Customs clearance in your customer’s country. It's during this exchange of information, along with your knowledge about a potential customer’s credit history and political and financial risk, that you will determine what documents are required for Customs’ clearance in the buyer’s country. Alternately, you might be asked to provide a proforma invoice. The proforma invoice acts like a quote and looks like a commercial invoice. The embassy of the buyer’s country. For example, if you have a customer in Saudi Arabia, there are additional documents that are needed by your customer. The Saudi Embassy posts documentation requirements at its website. In this example, all commercial documents, e.g. shipment of goods certificates, certificates of origin, invoices, vessel navigation certificates, bills of lading, insurance certificates, and market price certificates, must be authenticated by the U.S.-Saudi Arabian Business Council and then the Consulate Section of the Royal Embassy of Saudi Arabia. Other countries will have different document requirements and procedures. Regardless of what country you are exporting to, the documentation prepared by the seller for the customer is critical to the buyer’s ability to easily clear customs when the goods arrive at the agreed delivery point in the buyer’s country. 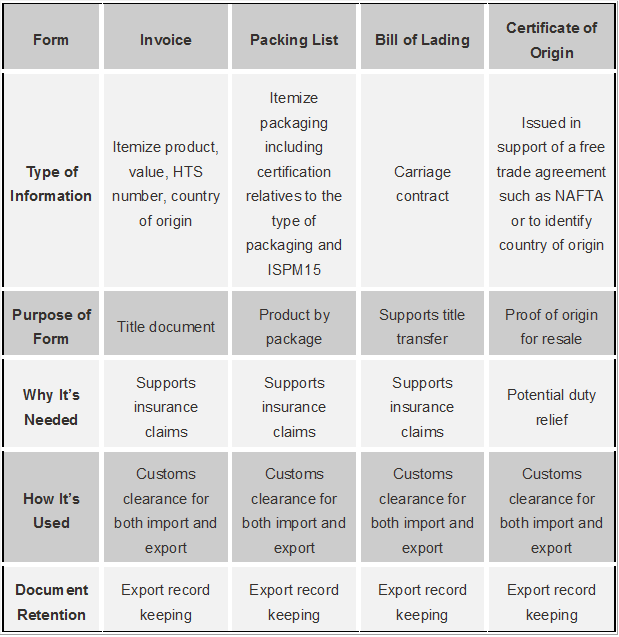 The table below summarizes commercial and regulatory uses of the documentation that companies prepare to support international commercial transactions. Each document requested by the foreign purchaser of goods is usually needed to meet government or financial institution requests or requirements. If the documentary request or requirement seems unlikely or unusual, qualify the requirement by seeking information from reliable sources, such as Bloomberg BNA, the U.S. Export Assistance Center, or the Commercial Attaché for the country in question. In my next article I’ll describe payment options for international transactions. This post was originally published in January 2007 and has been updated to include current information, links and formatting.